RSVP strives to offer quality kitchen products and cooking tools at competitive prices. 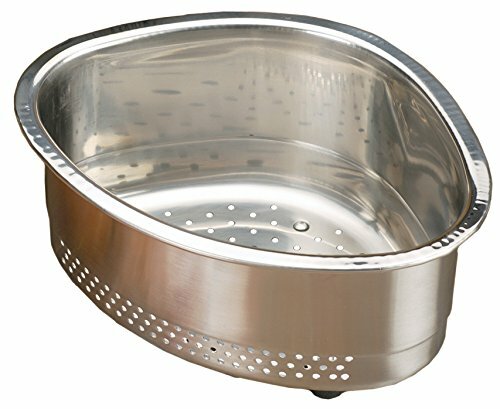 Our RSVP Endurance In-Sink Corner Basket is a perfect example. This is a handy item that tucks into the corner of the sink to catch vegetable and food scraps during meal preparation. It has rubber feet that grip the sink base and drain holes on the bottom to allow liquids to drain. Measures 9-inches by 7-inches by 4-3/4-inches tall. When all the right people, and ingredients, kitchen tools, and food come together, we call this The Art of Gathering.